KM: Is Marea your real name? Marea: Yes. My mother wanted to name me something different, so instead of "Maria," she named me "Marea," ma-RAY-uh. I've had to correct people all my life. 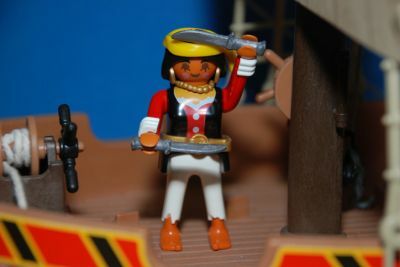 KM: What is your ultimate dream as a pirate? Marea: To find that female dogfish Captain Sela and kill her so I can be queen of the seas!